Stranded on a desert island, Hank (Paul Dano) has given up all hope of ever making it home again. However, one day everything changes when a corpse named Manny (Daniel Radcliffe) washes up on shore. Against all odds, the two become fast friends - embarking upon an epic adventure that will bring Hank back to the woman of his dreams. 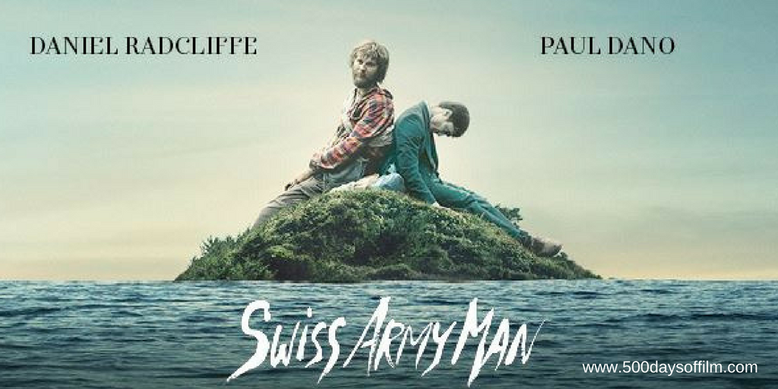 On paper, Swiss Army Man sounds offensive - a bad joke no one wants to hear. A farting corpse with an outrageous inbuilt GPS? Surely this bizarre buddy movie was a suicidal career move for all involved. However, while from the outset Swiss Army Man features lowest common denominator comedy (that continues to startle and surprise), the film rises from there to become a moving and inspiring story of loneliness and loss, friendship and the redeeming power of love. Of course, Swiss Army Man could not work without devoted performances from its two leads. Thankfully, Paul Dano and Daniel Radcliffe are 100% committed to the film. Dano brings soulful vulnerability to Hank while Radcliffe works wonders within the restrictions of, well, portraying a corpse. Together they are utterly endearing - it now seems impossible to imagine anyone else in these roles. Manny, with his wide-eyed innocence and wincingly hilarious, multi-tooled body (hence the Swiss Army reference), saves Hank on more than one occasion. Meanwhile, the more Hank bonds with his corpse friend - reminding him what it means to be human - the more both men come back to life. First time writer/directors, Daniel Kwan and Daniel Scheinert, use the fabulously weird premise of their film to explore ideas of body shame and repression - unafraid of confronting any taboo. Why do so many of us bury our true feelings and desires? Wouldn’t the world be a much happier place if we all embraced our bodies and rejected these feelings of guilt and humiliation? 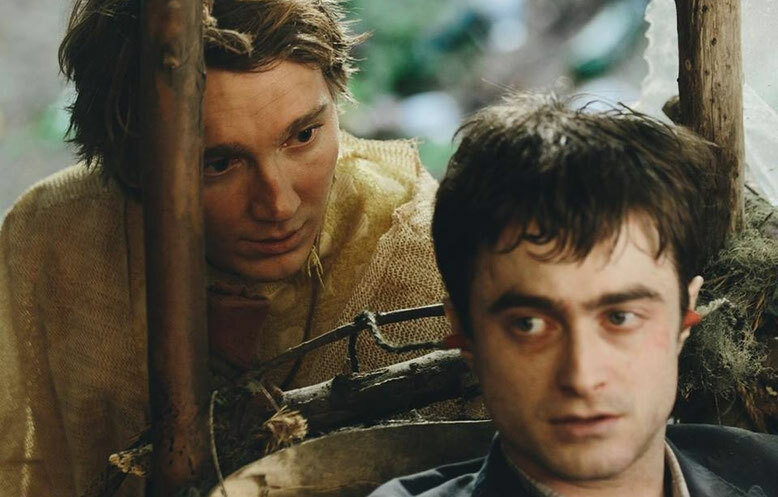 However, while Swiss Army Man shows how shame prevents us from finding happiness and love, it also reveals how challenging it is to confront such repression. Nonetheless, Hank’s gradual understanding of what has been holding him back is just wonderful to watch. Swiss Army Man has proved divisive among audiences (there were many walkouts during its premiere at the Sundance Film Festival) but if you are willing to go with its story, you will find a surprisingly moving, laugh out loud funny movie about love, friendship and the human condition. Give it a chance… you won’t regret it. Have you seen Swiss Army Man? If you have, what did you think about this film? Let me know in the comments section below or via Twitter or Facebook (@500DaysOfFilm).